When it comes to protecting your financial identity, the best strategy is stay on top of your bills, statements, and credit reports. At a time when identity theft is being called a serious, growing epidemic, it no longer makes sense to wait for paper bills and statements to arrive in the mail. In this increasingly electronic world, it pays to check your bills, statements, and bank accounts online at their respective secure websites for errors or fraud. Also many financial experts urge consumers to take advantage of the free credit report the three credit bureaus are legally required to furnish you every year and check it over for credit report inaccuracies. The first step identity theft victims should take is to notify their credit card companies or banks and request that the compromised accounts be closed down. Next, notify each of the three credit bureaus in writing of any fraudulent activity or credit report mistake and request that they place a fraud alert on your credit file preventing further theft. If these steps fail to fix the problem, you may need to contact a credit report lawyer in the Washington DC area to take legal action. An experienced attorney knows how to use the provisions of the Fair Credit Reporting Act (FCRA), established by the Federal Trade Commission in Washington, DC to file a credit agency lawsuit. At Blankingship & Christiano, P.C., our attorneys have a successful track record fighting and winning credit agency litigation. We will not hesitate to initiate a credit report lawsuit to fight for your legal rights and restore your good credit. 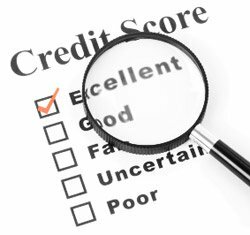 We are knowledgeable about credit and consumer law as well as frequent changes to these laws and have experience dealing with credit report litigation against credit reporting agencies and creditors. If you are the victim of identity theft or a credit report dispute in Virginia or Washington, DC, bring your case to a Reston credit report lawyer at Blankingship & Christiano, P.C. Contact us at (571) 313-0412 or online to discuss your case.